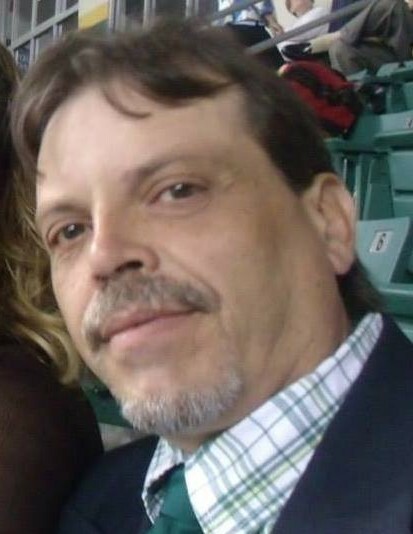 Obituary for Ronald Eugene Dusenberry, Jr.
Ronald Eugene Dusenberry, Jr., 49, of Crooksville died on Sunday, February 10, 2019 in Zanesville. He was born the only son of Wilma (Holmes) Dusenberry of Crooksville and the late Ronald Dusenberry, Sr. on September 17, 1969. Ronnie was a deeply loved man, loved by his wife, mother, daughter, sisters, nieces and nephews. His family would like for him to know he will be forever loved and will be terribly missed. Ronnie was an incredibly talented artist, he was always willing to share his drawings. His wife, Crystal was such a fan of his precious drawings that they permanently adorn her arms. He was even lucky enough to study with the local artist, the late Leslie Cope. Like many folks, Ronnie was a huge fan of the late Michael Jackson, his admiration for his music led to Ronnie teaching himself to moonwalk, he was always willing to break out his skills and show off his moves. His love for music was a big part of his life, Ronnie also very much enjoyed playing the drums. Being a true Buckeye, Ronnie never wasted an opportunity to watch his Ohio State Buckeyes and root for his beloved Pittsburgh Steelers. Ronnie leaves behind his wife of six years, Crystal (Sellars) Dusenberry of Crooksville; his mother, Wilma Dusenberry; his step-daughter, Becca Sellars and his sisters, Jenell Sellars, Melissa Hollingshead and Lisa Bowen. Per his request Ronnie will be cremated and be held by his loving wife. You may read the obituary, sign the Online Register Book (Memory Wall) and share a special memory with the family at www.goebelfuneralhome.com and Like us on Facebook.